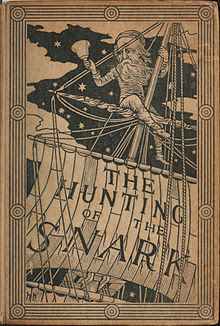 The Hunting of the Snark is a poem which consists of eight fits. The poem is thought to be a nonsense poem telling the story of an impossible journey with the oddest crew to find an unimaginable creature. I read this poem as part of a challenge I am partaking in with a group on Goodreads, this poem is exactly what you would expect from Lewis Carroll. Madness and nonsense. I really enjoyed this poem, it was a little hard to get on with at the start but once I got into it, I found the rhythm really good and the story really interesting. I have always loved Lewis Carroll and his works and this poem is just another reason why I love him.